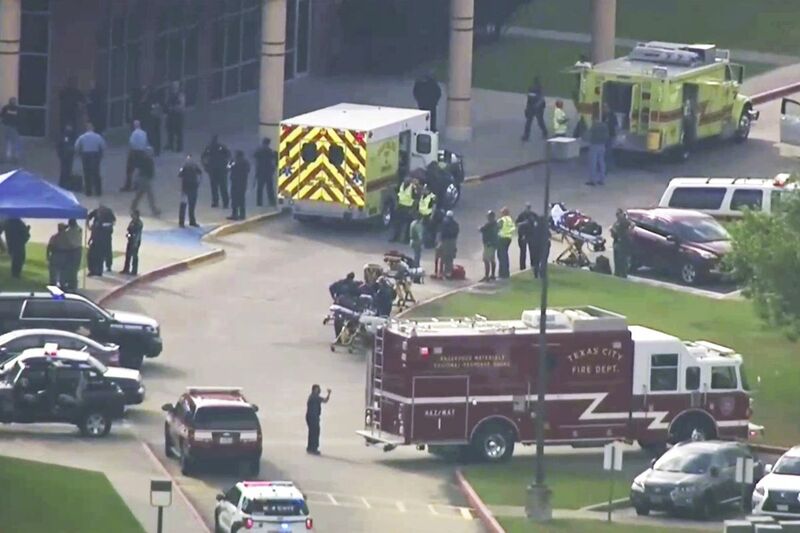 A week ago on May 18, 10 students were killed and 13 wounded at Santa Fe High school just south of Houston, within its metropolitan area. The shooter was a student who, as can now be expected, had been bullied. While definitions of a mass shooting may vary, the Investigative Assistance for Violent Crimes Act of 2012 labels it as a killing of three or more persons excluding the perpetrator. Yet school violence per se is a problem in the US when half the incidents worldwide occur here and through February this year school shootings were averaging one a week. Data on mass shootings compiled by Grant Duwe, a criminologist at the Minnesota Dept. of Corrections in St. Paul, goes as far back as 1915. That is when a Georgia man killed his attorney, who he blamed for financial losses, and another five people, wounding 32 others in the rampage. Of note in the data is the fact that Duwe’s annual rate of mass shootings calculated per 100 million people was minuscule prior to 1965. For example, only three were recorded from 1950 to 1965. The rate rose to 0.52 from 1970 to 1979, then skywards to about 1.44 per 100 million people annually from 2010. What has caused this rise? Well, everybody knows and nobody knows, meaning there is much anecdotal opinion but no serious research. In a school shooting, a common narrative is the perpetrator was bullied but thousands of kids are bullied; what makes one into a mass killer? Psychiatric problems are another frequent component of a shooter’s make up. Again there are millions with such problems but a microscopic few taking to the extreme of a killing spree. While a trigger has yet to be found, opportunity is a clearer aspect. A putative mass shooter can only realize his hate into action if he has opportunity, namely, access to firearms. While there may not be definitive research on such access and mass shootings in the US, we have conclusive evidence from Australia. After a mass shooting killed 35 people in Port Arthur, Tasmania, there was shock and disbelief in the country. Strict gun control laws soon followed. A mandatory buy-back of existing firearms led to the surrender and destruction of 650,000 weapons. The results are incontrovertible: From1978 to 1996, Australia had 13 mass shootings; since 1997, it has had none. If quick action by a majority party can be an advantage in a parliamentary form of government, as in Australia, the US constitution takes the opposite view. Deathly afraid of tyranny, the founding fathers designed it to preclude hasty decisions. They also ensured the office of President is weak. And adding to his troubles, this officeholder is sometimes faced with opposition majorities in the House and the Senate. Some might argue a militia in the 21st century is outdated; the other side responds, it would constitute a powerful guerilla force. Should the Second Amendment be revisited? It’s a tough question for politicians fighting elections. For the time being, Americans must live with the tragedy of over 36,000 gun-related deaths annually … including a visiting foreign student named Sabika Sheikh, who along with the dreams of her modest Karachi (Pakistan) family, perished at the hands of the Santa Fe High School shooter. Just as there are “thousands” who were bullied but did not engage in mass shootings; just as there are “millions” with psychiatric problems yet do not commit mass murder, there are millions of individuals in the United States with access to firearms who do not commit mass murder. To suggest that a putative killer’s access to firearms is the key to ‘realizing’ his/her hate, and to imply firearms control as a solution for the prevention of such crimes, is so simplistic as to be juvenile. Both Mexico and Belize have stricter gun control laws than most U.S. jurisdictions or even here in Canada and yet they have intentional homicide rates of, respectively, 218.49 and 418.02 per 100,000 population. The United States by comparison has 42.01 per 100,000 population! Switzerland with per capita gun ownership nearly similar to the U.S. has a rate of 6.65. Limiting access to firearms is not the answer Mr. Kahn! Not unless you could magically make them all disappear. I don’t have the answer either but my suspicion is that part of the problem lies in readily available access to gratuitous violence on television; this coupled with a U.S. foreign policy which routinely uses violence to achieve political and economic objectives, It’s difficult to believe these things don’t affect the thinking and behavior of some. One of my friends in MA, USA has a friend from Africa who wrote him that the period of Rwanda butchery had to do with overpopulation in terms of lack of resources and lack of land. So they primarily murdered with machetes (no or few guns needed in other words). They even murdered whole families of their OWN tribe and not just the competing tribe so as to take over their homes and lands (i.e., a house and two acres of bean crops).